We take non refundable deposits of $600 when the litter is born. Our current puppy price is $1,400. We don't have any litters planned but know of litters planned by friends who hold thier dogs to the same standards. Feel free to contact us. 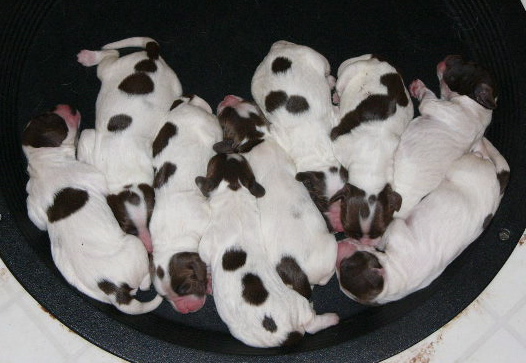 All of these puppies are from parents with all of the necessary health clearances.